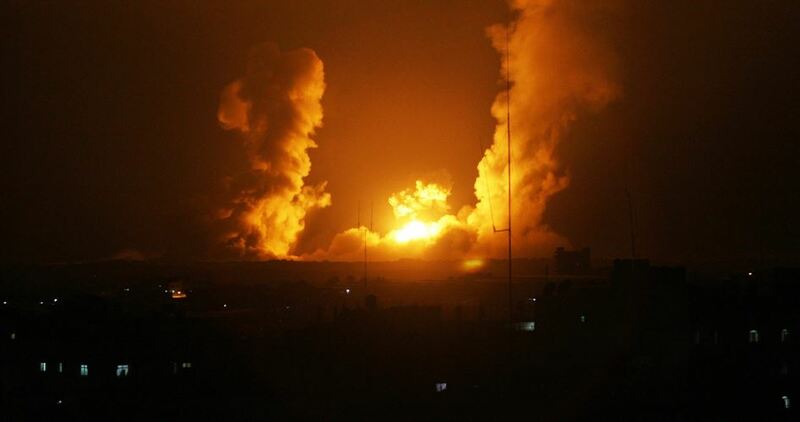 Israeli warplanes at dawn Monday launched two strikes on resistance posts in the northern Gaza Strip. The PIC reporter said that two missiles were fired at a resistance site in Beit Lahia, while a third was fired at another site east of Jabalia in the northern Gaza Strip. Panic prevailed among the Palestinian citizens living in the targeted areas and some houses were partially damaged, he added. Israeli warplanes every now and then launch air raids on different sites in the Gaza Strip blatantly breaching the Egypt-brokered truce signed between Israel and the Palestinian resistance in 2014. Israeli forces on Sunday evening struck Palestinian lands in the blockaded Gaza Strip with artillery shells. 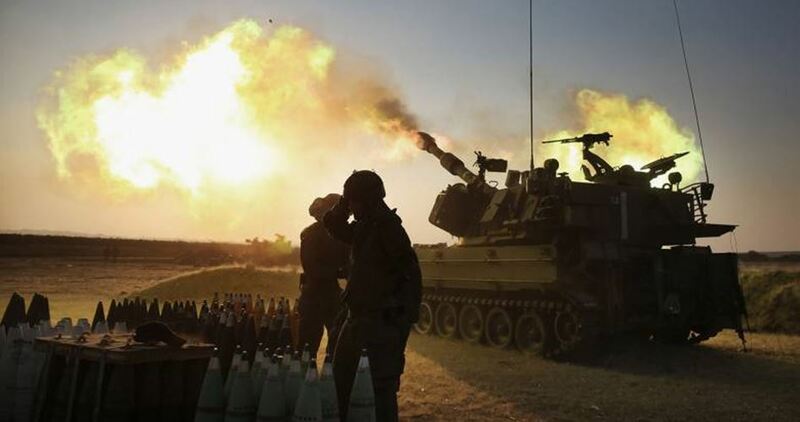 Reporting from Gaza, a PIC news correspondent said Israeli artilleries targeted Palestinian lands near a landfill in Juhr al-Deek, in the central Gaza Strip, with nine shells. The Israeli army claimed the aggression comes in response to an attempted attack by Palestinian gunmen targeting an Israeli patrol. No injuries were reported in the alleged attack. According to the PIC reporter, Palestinian ambulances evacuated four injured Palestinians from the targeted area. President of the Syrian Coalition Abdulrahman Mustafa sent a letter to UN Secretary-General Antonio Guterres, EU foreign policy chief Federica Mogherini, Secretary-General of the Arab League Ahmed Aboul Gheit as well as the leaders of 30 Arab and Western countries calling for urgent measures to put an end the repeated use of chemical weapons and hold Bashar al-Assad accountable. President Mustafa warned of the consequences of allowing the Assad regime to carry on with the mass forced displacement of residents of many areas across Syria. “We call upon you to mandate a comprehensive review of the OPCW’s program of dismantling Assad’s chemical arsenal to address urgently all the possible loopholes which allowed Assad to keep part of its weaponry so far,” the letter said. Mustafa called for the establishment of an international emergency response program for the displaced people from eastern Ghouta and to assist the Syrian Interim Government (SIG) in the provision of urgent relief aid. He pointed out that the displaced people have been left to their fate without any humanitarian or relief aid. Moreover, Mustafa underscored that the war crimes taking place against Syrian civilians must no longer be condoned. Mustafa urged everyone to spare no effort to end the suffering of the Syrian people; hold the criminals accountable; and help Syrians fulfill their demands for freedom, dignity and justice. 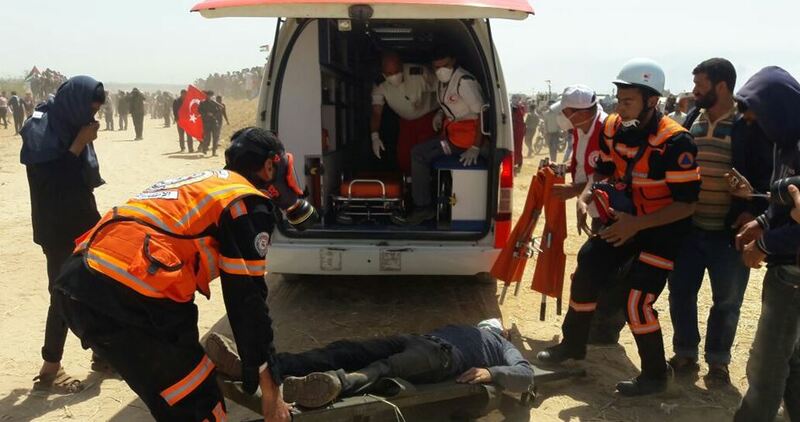 A Palestinian citizen died at dawn Monday of wounds he sustained after being shot by the Israeli occupation forces on the first Friday of the Great March of Return. Spokesman for Gaza’s Ministry of Health Ashraf al-Qedra said that Marwan Qdeih, 45, suffered from a serious injury after he was shot on 30th March when the Israeli army used lethal force to quell the Great March of Return east of Khan Younis in the southern Gaza Strip. In a related context, medical sources told the PIC reporter that 12 Palestinians were injured by Israeli gunfire on Sunday while taking part in the Return protests. With Qdeih’s death, the number of Palestinians killed since the launch of the Great March of Return has increased to 32, while over 2,850 have been injured. The Great March of Return is a major popular event where Palestinians protest peacefully along Gaza’s eastern border with the 1948 occupied Palestinian territories to call for enforcing the UN resolutions related to the Palestinian refugees issue, especially Resolution 194 which provides for return or compensation. 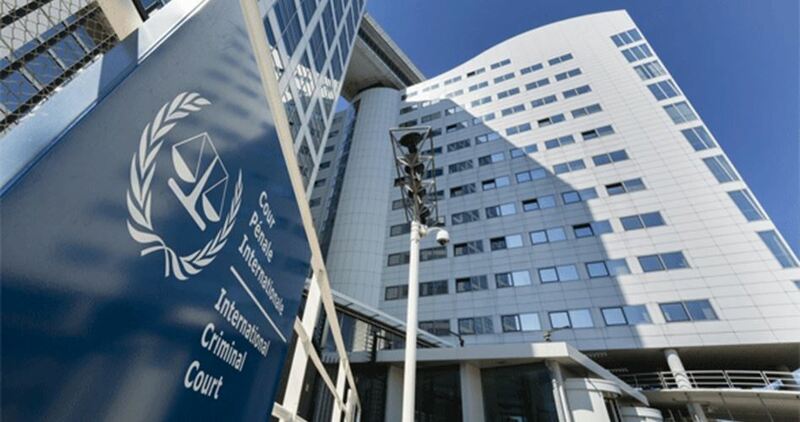 The chief prosecutor for the International Criminal Court (ICC) raised concerns Sunday that Israel may have committed war crimes during a current flare-up of violence in the Gaza Strip. In a statement, Fatou Bensouda’s office expressed “grave concern” over the shootings of Palestinians by Israeli troops during mass protests along Gaza’s border with Israel. Her office said that Israel’s “violence against civilians — in a situation such as one prevailing in Gaza” may constitute war crimes. Bensouda is already in the midst of a “preliminary examination” of possible war crimes launched in the wake of a 2014 offensive by the Israeli occupation forces on the besieged costal enclave of Gaza. At least 32 Palestinians have been killed by Israeli fire as they took part in mass-protests along Gaza’s borders. Witness accounts and amateur videos have shown the demonstrators appeared to be unarmed or far from the fence when they were shot. The European Union and United Nations have called for an independent investigation into the killings. A Palestinian succumbed to his wounds he sustained after being shot by an Israeli settler, east of occupied Jerusalem. 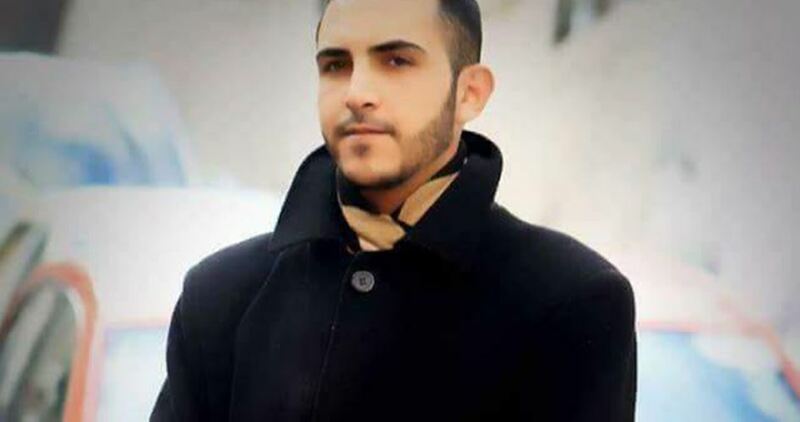 The PIC reporter quoted locals as affirming that the 30-year-old Mohamed Marshoud, from Balata refugee camp east of Nablus, dead of gunshot wounds. Israeli police earlier said that a settler shot and injured a Palestinian young man for allegedly approaching a group of soldiers near Mishor Adumim settlement, east of occupied Jerusalem, while holding a knife in his possession. 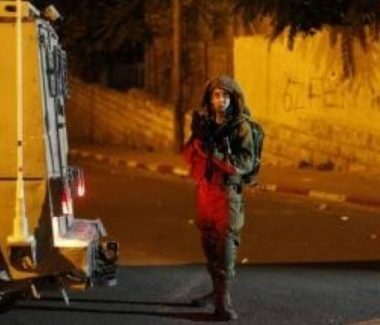 Medical sources have reported that Israeli soldiers chased, on Sunday evening, a Palestinian teenage boy while riding his bicycle near the Tiwani village, east of Yatta, south of the southern West Bank city of Hebron, and rammed him with their jeep. 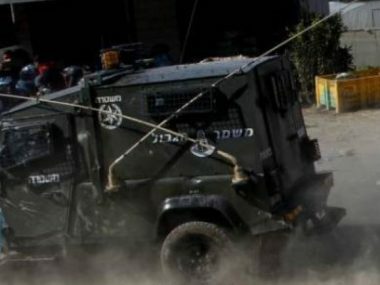 Rateb Jabour, the coordinator of the Popular and National Committees against the Annexation Wall and Colonies in the southern part of the West Bank, said the military jeep chased the teen, Qussai Mousa Abed-Rabbo, 17, while he was riding his bicycle, and rammed him with their jeep. He added that the teen suffered various fractures, cuts and bruises, while the soldiers who rammed him just drove away, leaving him on the side of the road. Palestinian medics of the Red Crescent Society rushed to the scene, and provided the teen with the urgently needed treatment, before moving him to Yatta governmental hospital. His wounds were described as moderate. Israeli officials have threatened to assassinate Hamas leaders in the Gaza Strip in order to deter the Great March of Return demonstrations, Quds Press reported yesterday. Former Israeli MK Moti Yogev told Channel 7 that the “terror leaders” in Gaza must be assassinated, noting that they are the leaders of Hamas. Deputy Israeli Defence Minister Eli Ben-Dahan threatened to wipe Hamas out and end its rule in the Gaza Strip. Israeli newspaper Haaretz reported yesterday that an Israeli commander threatening to attack Hamas targets and facilities in Gaza if demonstrations being held as part of the Great March of Return did not stop. “The [Israeli] security institution will not allow the Great March of Return to change from weekly demonstrations near the border fence to a battle and a lengthy war of attrition,” Haaretz reported the commander saying. According to Quds Press, the paper said the Israeli army accused Hamas of organising the demonstrations which are expected to reach their peak on 15 May, the day on which Palestinian mark the Nakba – the catastrophe which saw them forced out of their homes and led to the creation of Israel.